A little more than a year after the Buzz Aldrin Space Institute was created at Florida Institute of Technology with the mission to get humans to Mars, researchers are already looking at realistic ways we can grow food on the Red Planet. Unlike Earth soil, Martian soil, or the correct term–regolith–has no organic matter in its content and fewer minerals needed to feed plants, which are some of the obstacles facing potential Martian farmers. The chemical make-up of Martian soil in its natural state would also be harmful for both plants and humans because of its high chlorine content in the form of perchlorates. Though difficult, it’s possible with the addition of fertilizers and leaching out the perchlorates to grow various plants in a Martian soil–eventually. 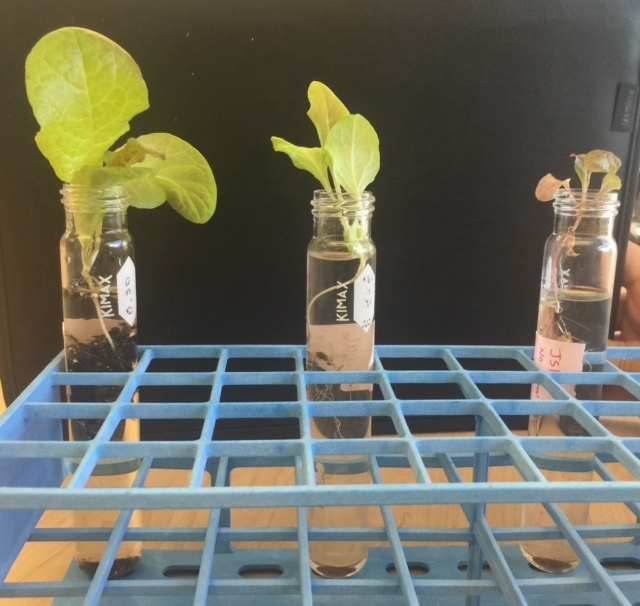 Florida Tech scientists have partnered with scientists from NASA who have experience growing plants in space on the International Space Station and whom are also interested in growing plants on Mars. Besides perchlorates, four other hurdles scientists need to address are: radiation exposure of seeds on route to Mars, root growth in gravity weaker than Earth’s, where water for the plants will come from and shielding plants from extreme temperatures. Florida Tech’s Drew Palmer, an assistant professor of Biological Sciences and his team are are leading the charge in developing a Martian Garden here on campus to address all these issues. At this early stage, Palmer is first figuring out the minimum amount of nutrients a likely food plant would need to grow. Down the road, other factors will be introduced that mimic the realities of Martian gardening. Even if we never get to the Red Planet in our lifetime, the research could have an impact here on Earth: learning to grown plants in challenging environments could help avert famine and minimize the use of precious resources such as water and fertilizer.